When you’re in the midst of a move, you may find yourself running to the store every other day to pick up supplies. 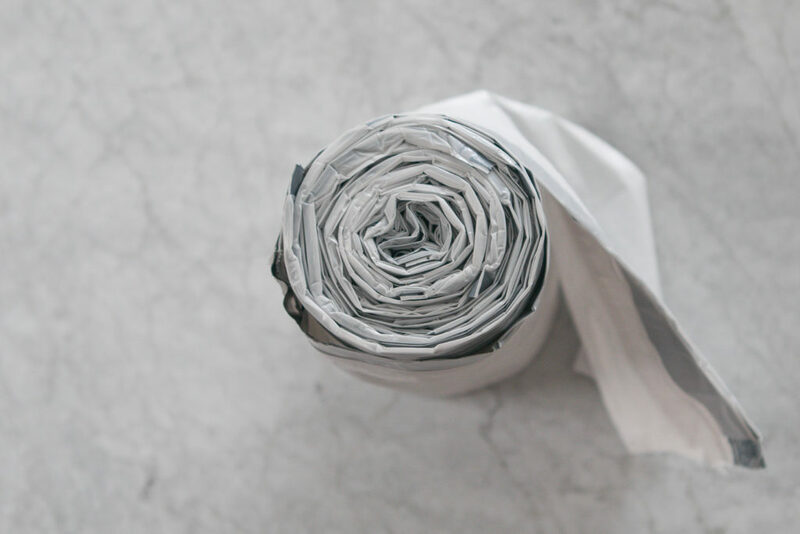 It may seem like you can never have enough boxes, tape and packing paper, but there is another item you should add to your essentials list… trash bags! This versatile item can be used in so many ways to help you move. 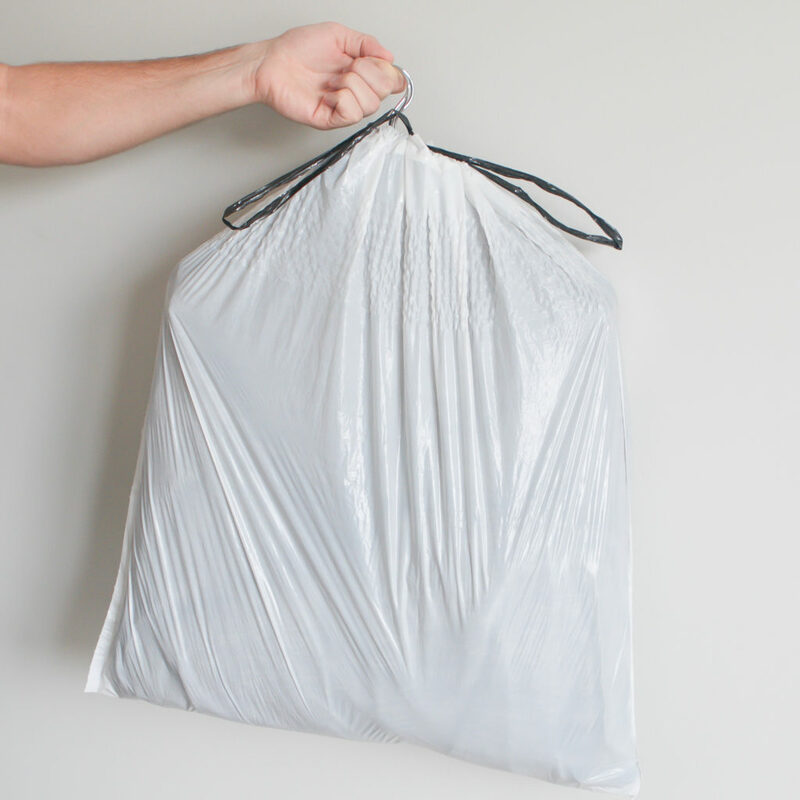 Let’s review all of these trash bag hacks. Instead of purchasing wardrobe boxes for your move, we suggest keeping your clothes on their hangers and protecting them with trash bags. All you have to do is take a stack of clothes off the rack and bring a trash bag from the bottom of the clothing up towards the hanger. Then, use the drawstring on your trash bag and tie it tight around the hanger. This will ensure that the bag doesn’t come off during transport. It’s the perfect garment bag hack! Bonus…buy those scented trash bags so your clothes smell fresh when you get to your new home! 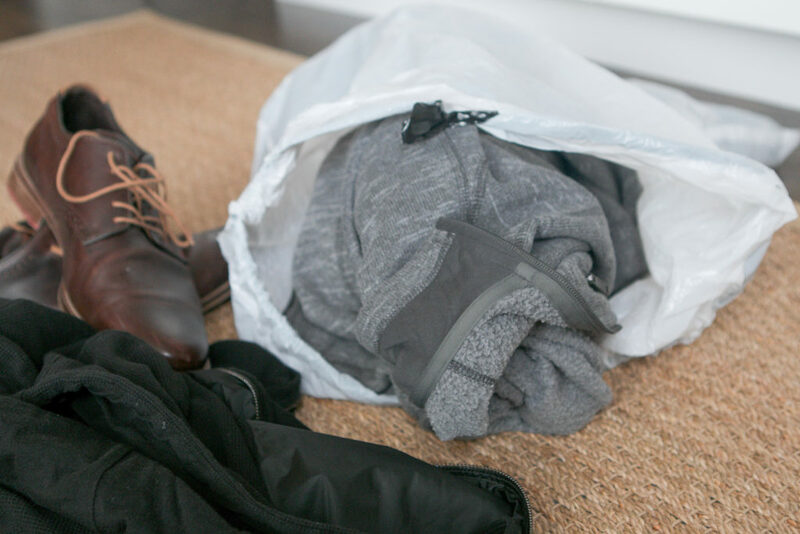 Trash bags make it super easy to corral and easily identify all of the items you’re planning to donate. This is especially helpful when it comes time to clean out that stuffed wardrobe of yours! 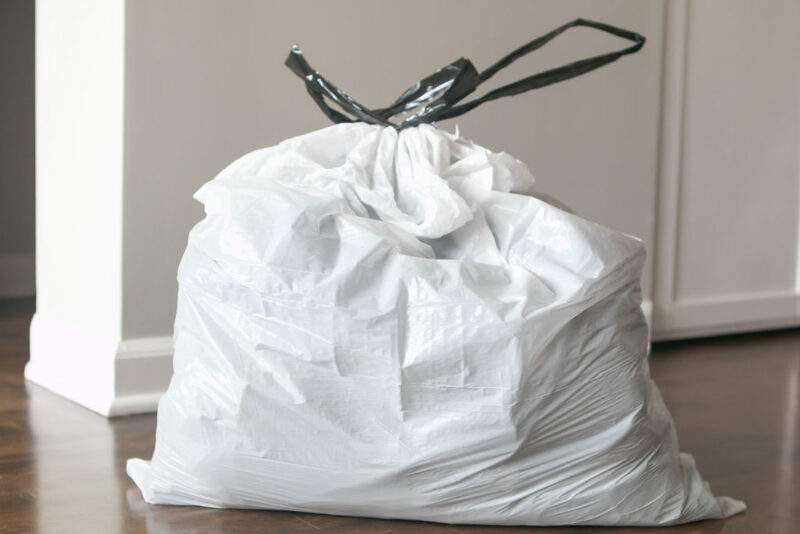 We suggest that you keep a trash bag in your closet in the months leading up to your move. As you try on items that you no longer love, toss them into the this conveniently located trash bag. Little by little, the bags in your closets will start to fill up with donation items, and you won’t have to spend an entire weekend purging out your closets! Trust us, you won’t want to move any other way. Trust us, you won’t want to move any other way. 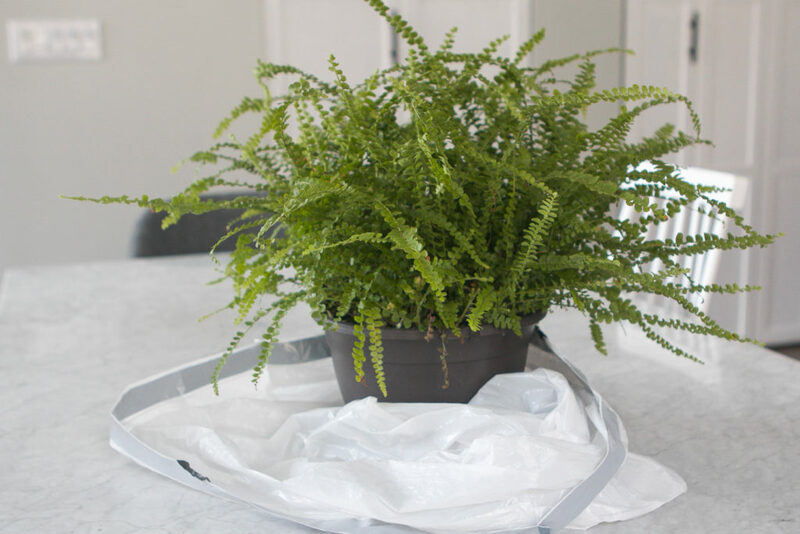 Plants are a tricky one to move because no one wants dirt all over their vehicle – so grab that handy dandy trash bag of yours and place the bottom of the plant inside. This ensures that the dirt doesn’t get all over and you can easily move your greenery to your new space. If you can though, keep the top of your plant out so it still gets lots of fresh air! When packing, you’re bound to run into items that will make you scratch your head and say, “How the heck do I pack that up? !” (Lamp shades are one of them.) How can you make sure your shade doesn’t get dirty and gross on its ride to your new pad? Well, use a trash bag to cover those unusual objects and keep them safe! If you’re worried about special items getting wet during your move, we suggest using a trash bag inside your cardboard box. 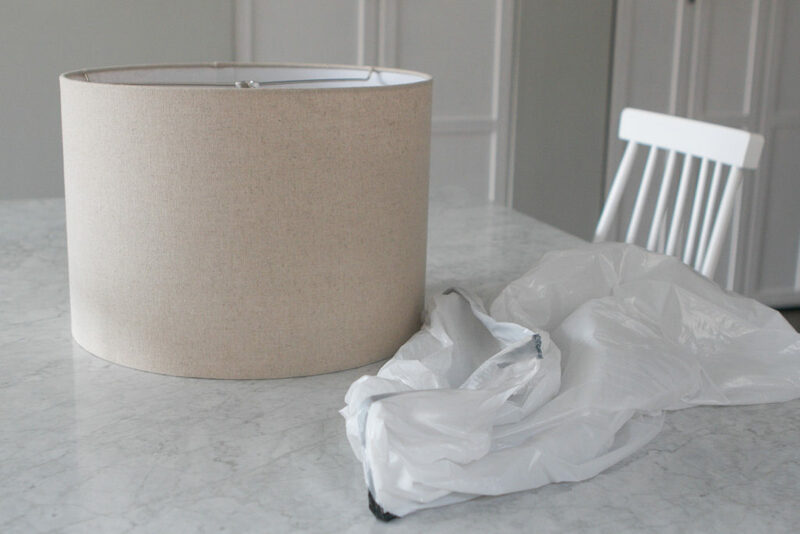 Simply put your precious items in a trash bag (books, papers, throw pillows, etc) and then put that bag inside the box! That way it’s got double protection from the elements. Okay, of course, you’ll need trash bags for trash. And you’ll probably have a lot more than usual when you’re packing up your home to move. Stock up on a lot of garbage bags and you’ll be set for this, and everything else on this list for the duration of your move. It’s official: you need to head to your nearest Costco before your move and find the largest roll of trash bags you can find. Trust us! It’s a smart choice too; Injecting a pop of green into your space will ensure that your home is ready for the holiday, sure, but you’ll also get those staying up-to-date vibes. Look at you go!If you’re interested in bringing a sense of outdoors inside, or maybe you’re just looking to refresh your space, we’ve got six tangible ways to stay on-trend by adding green to your space. And just like that, summer is officially over. We don’t know about you, but the great news is that we both adore the Fall season. There’s just something about the crisp air and the falling leaves that gets us both giddy! But before we officially dive head first into the new season, we want to make sure that our homes are “de-summered” and prepped for autumn. If you’re looking for a little guidance when it comes to home maintenance, we’ve got you covered. Here’s a checklist of things you’ll want to do in order to be 100% ready for the Fall months.